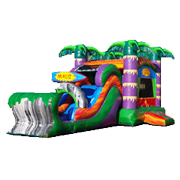 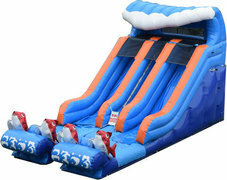 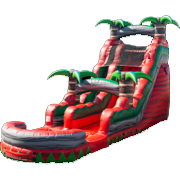 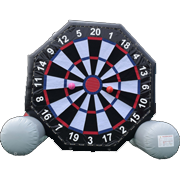 This large double lane Kahuna water slide is a for sure hit and can be used wet or dry. 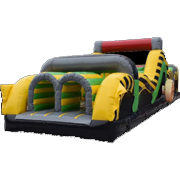 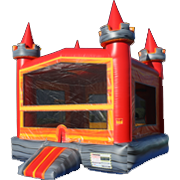 You can count on this gigantic slide providing hours of endless fun to your next event! 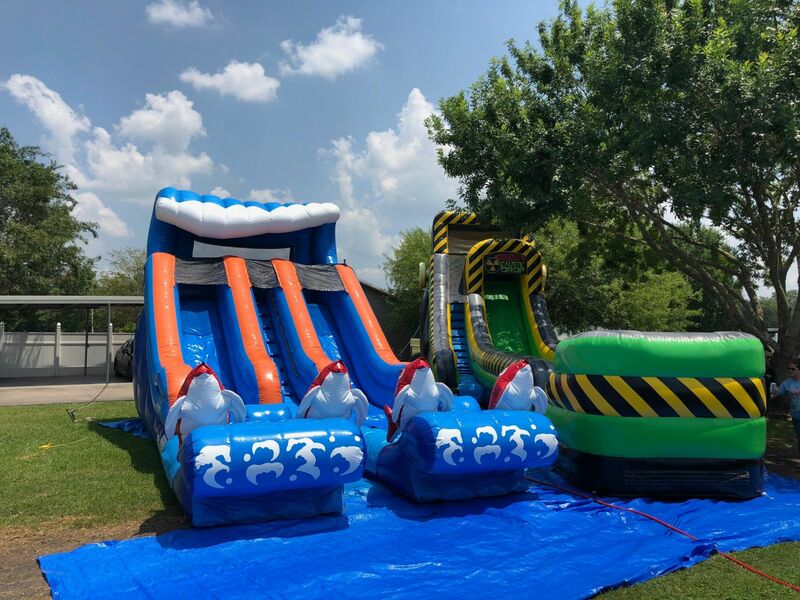 Our slide was design for kids of all ages in mind and it features an easy to climb stair way that runs up the middle of the slide where the kids enter the unit with a choice or sliding either left or right into a pool of water (or a dry cushion). 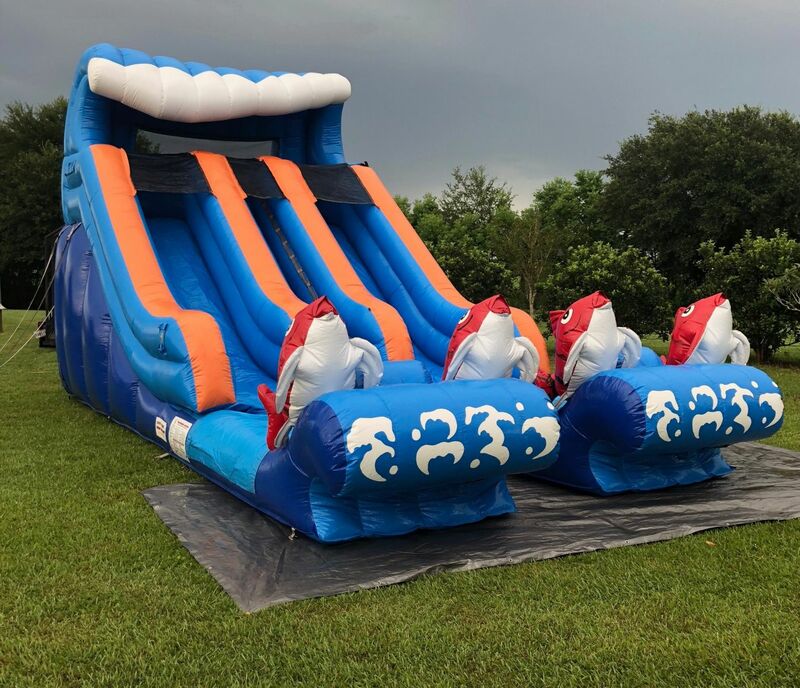 What's better than slidding into a pool of water with your friends and loves ones? 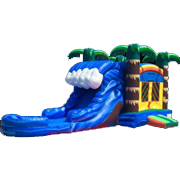 This water slide will definitely be the one bringing memories, so don't forget the camera.